When you’re investing in a high-end ski jacket, you want to make sure to pick the right one. Luckily, whether you care more about features, style, or durability, you can’t go wrong with the Descente Anabel Down Ski Jacket with Real Fur. 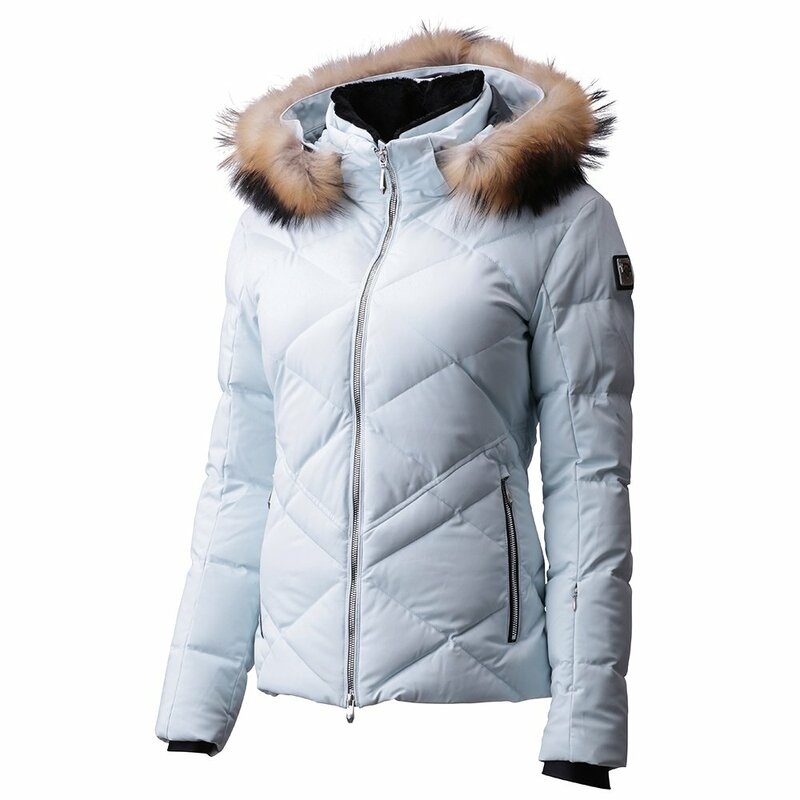 A quilted front pattern has a timeless look while the lux real raccoon fur hood detail gives it a posh finish. And if your skills are as strong as your style, you’ll definitely make use of the 20K waterproofing rating, powder skirt, and Heat Navi ™ insulation that won’t bunch up or create cold spots. The effortlessly chic Descente Anabel Down Ski Jacket with Real Fur is made with a lightweight, four-way stretch fabric, so it can move in every direction you do. "Is this coat warmer then Charlotte? Does the fur come off? How warm does this coat keep you? What other colors besides red and white?" "Thank you for inquiring about the Descente Anabel Down Ski Jacket. The Anabel is a very warm coat, withstanding temperatures of 15°F and below. Compared to the Descente Charlotte, The Anabel is considerably much warmer. At this time we only have the colors Electric Red and Mystic Ice available for purchase via our website. We hope this information helps! " "What is the length of this jacket in inches? Thanks!" "Thank you for your inquiry. The length of the Descente Anabel Down Ski Jacket is 25 inches. We hope this information helps! " "Is the fur removable from the hood?" "Thank you for your inquiry. The fur is removable on the Descente Anabel Down Ski Jacket. We hope this information helps! " "Is coat significantly bigger/longer than the Nika? The Nika fit perfect, but I didn't move fast enough before they sold out." "The Anabel is 25 inches in length and the Nika is 23 inches. They both are relaxed fit styles. We hope this information helps. "